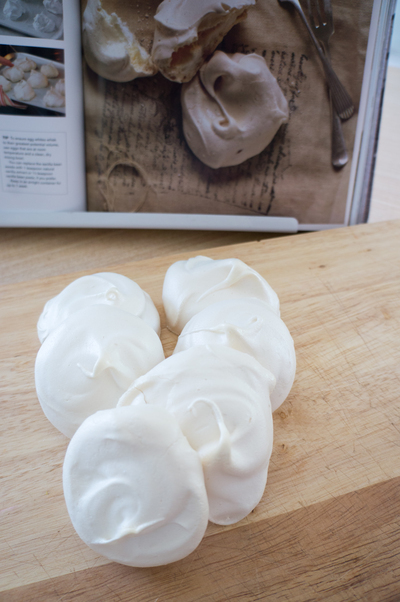 These are perfect mini vanilla meringues. Crunchy outer shells with a soft centre. I crush these up and use them in my Eton Mess or simply topped with a bit of whipped cream and some fresh berries. Delicious! Preheat oven to 120 C. Line two baking trays with baking paper. Put the egg whites and vanilla in a clean, dry bowl. Whisk on medium speed until soft peaks form. *Gradually add sugar, 1 Tbsp at a time, whisking after each addition. 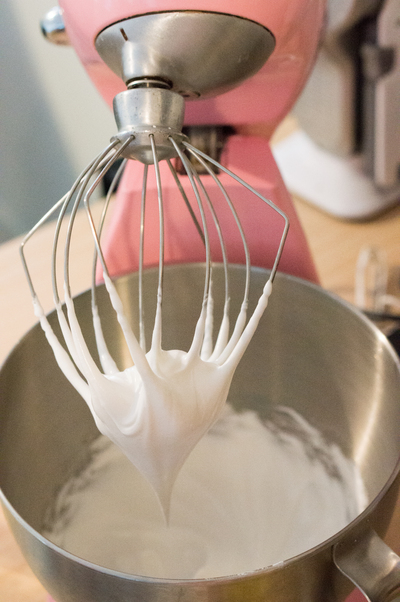 Continue whisking until the sugar has dissolved and meringue is thick and glossy. Drop heaps tablespoons of the meringue on to the prepared trays, leaving 3cm between each one. 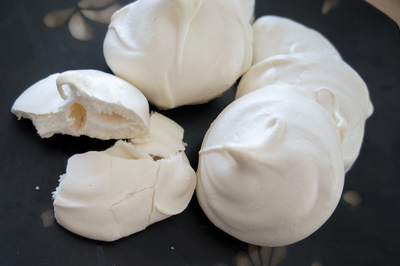 Reduce oven temperature to 100 C and bake the meringues for 1 hour and 10 minutes.or until crisp and they sound hollow when tapped. 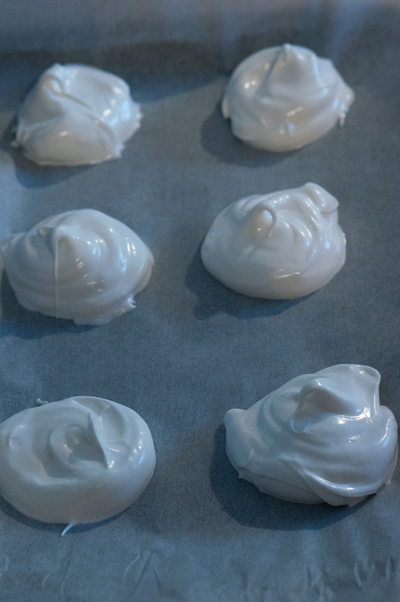 Turn off the oven and leave meringue to cool with the door ajar.